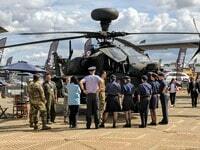 HelicoptersUSA: will the future reconnaissance and attack helicopter also replace the AH-64 Apaches? Signed between Weststar Aviation Services and Leonardo at "Lima 2019"
HelicoptersLeonardo. 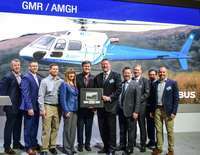 "Helicopters with double-digit profitability in 2020"
HelicoptersOrders and retrofits for new H-145 helicopter at the "Heli-Expo 2019"
HelicoptersNew H-145 helicopter unveiled at "Heli Expo"
HelicoptersAirbus Helicopters at "Heli-Expo 2019"